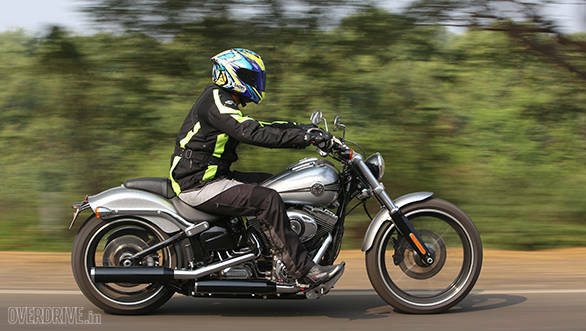 Harley-Davidson recently launched three motorcycles in India expanding their line to the biggest its been since they opened shop here. 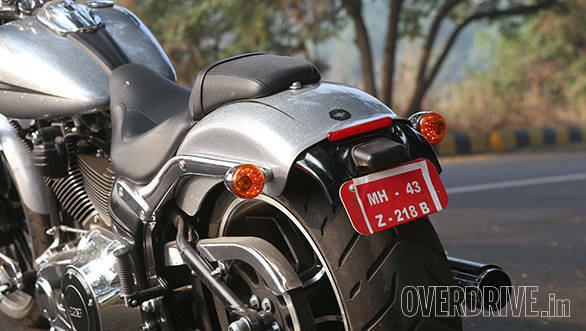 They introduced the Rs 50 lakh ex-Delhi CVO Limited, the most expensive Harley money can buy in India. 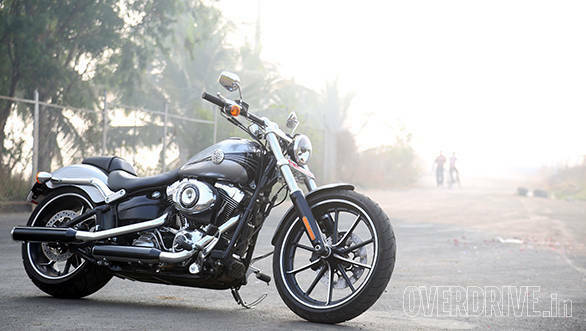 They added the Street and this, the Harley which joins the expanding galaxy of locally assembled Harleys in India. 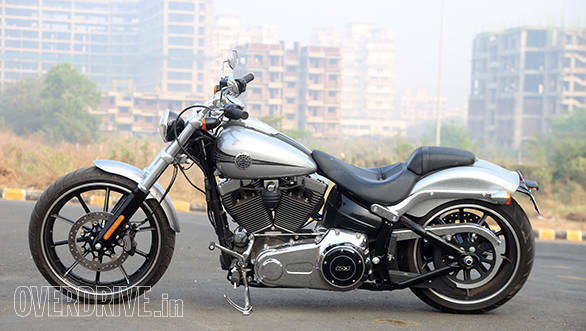 Priced at Rs 16.28 lakh ex-Delhi, this is the second most expensive Softail you can buy. But should you? Let's find out. First some history. There used to be a rather nice looking Harley-Davidson motorcycle that hailed from their Softail family called the Rocker. Stretched out and low, to my eyes, it was one of the nicest looking Harleys. And then, it disappeared. In its place came the CVO Breakout last year, perhaps the first time that Harley-Davidson have had a model in the CVO line that wasn't based on a regular production model first. So what is it? The Breakout is a drag-bike inspired cruiser. Which explains the long wheelbase, the ultra-wide 240-section rear tyre and the relatively skinny front tyre. In fact, only the Wide Glide (a Dyna family motorcycle) in the Harley line-up has a longer wheelbase than the Breakout. The styling, in fact, is one of the highlights for me. The long and low look, the stunning metalflake silver paint and chrome exhaust header shields and the black cans... there's a lot of stuff going on on the Breakout and it all adds up to a stunning looking cruiser. Rumbling up the club porch with a flashy Harley isn't my personal cup of tea but I can see that the Breakout, with absolutely no parts and accessories added, would be up to that task effortlessly. It's absolutely stunning to look at. Now let's look closer. Up front is a skinny 130-section 21-inch front wheel while the rear, as we've noted, is a gargantuan 240-section 18-inch rear tyre. In the middle of the yawning wheelbase is a TwinCam 103B V-twin that displaces 1,690cc and makes a claimed 130Nm at 3,000rpm. As in it looks muscular and it's got the goods to back it up as well. Taking off from the lights to the strident beat of the V-twin seems completely natural and progress is definitely brisk. Not as brisk as another American cruiser I could name, but the Breakout doesn't hang around either. You have six gears to play with and I love that Harley "6" green light that blinks on when you hit top gear to tell you you've hit your cruising attitude. 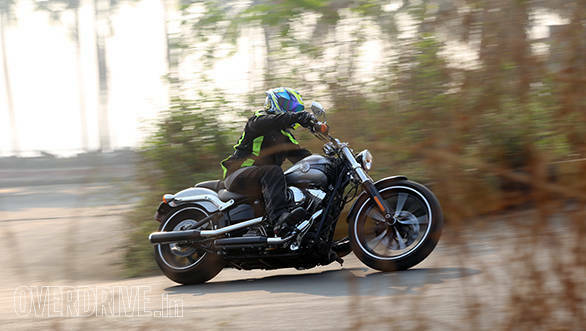 Roll along at a steady 100kmph and the Breakout feels composed and smooth. 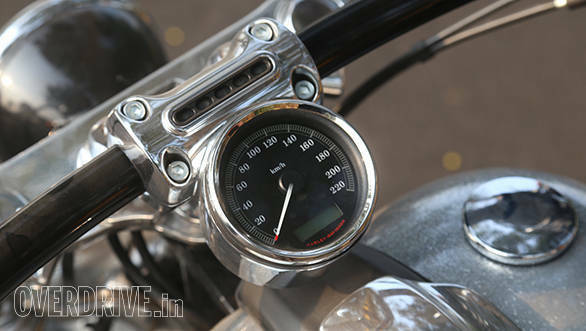 Being inspired by the drag bikes, the standard handlebar is a fat, almost straight job and it fits the look perfectly. It doesn't make for the most natural of riding positions it must be said, but for my six foot frame, the bike works well enough. What it finds hard to do, thanks to that tyre and the wheelbase, is change direction. Exactly the thing that drag bikes aren't required to do. Altering course requires quite a bit of planning and as long wheelbases tend to require, the Breakout leans a lot for even moderate turning arcs. Force the pace and you'll grind down the peg feelers rapidly. On the other hand, the giant rear tyre, long wheelbase and skinny raked out front also produce that funny sensation at slower speeds where the steering feels fine at the centre but once off-centre, the bars basically want to flop to the steering stop. This again, is something you learn to work around and within a few minutes, you'll get the hang of it - you have to literally push and hold the bar at the angle you want in turns. Ride quality similarly, isn't the best we've seen. Low formats reduce the ability of the suspension to damp out bumps and so while the Breakout is perfectly happy on good roads, ride comfort fades rapidly as the road worsens. Again, at walking speeds, the rear tyre causes the bike to react to bumps sharply and that's another thing that you'll have to get used to. 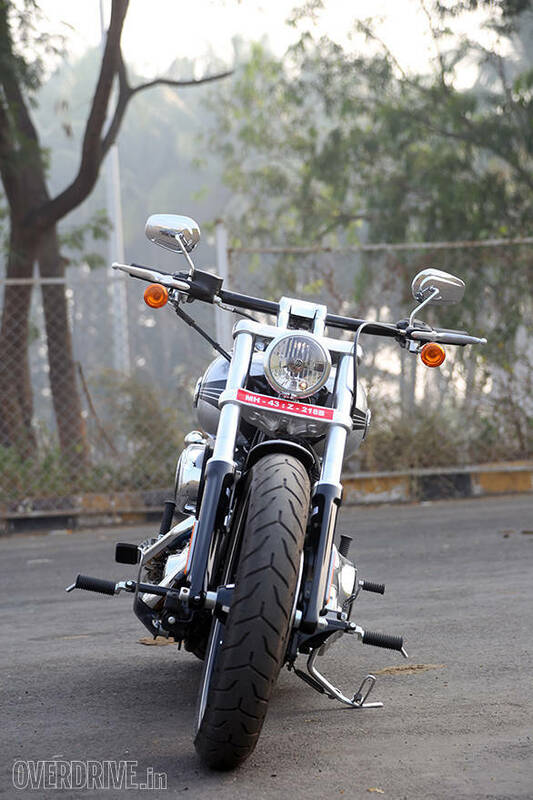 Substantially, the Breakout then is a stylish urban Harley. It's meant to profile down main street at a pace where everybody will turn to look at the stunning paint work and the wonderful lines. It'll be the most talked about bike in the parking lot and justifiably so. Fat tyre bragging rights are assured and with the right pipes, the V-twin will also produce days and days of thunder. But outside of the acceleration and straight line work, the Breakout isn't meant to do much. Then again, when a motorcycle looks this kind of good, it may not have to do much more, right?